Following on from our news item last month, the full shortlist, facts and figures for 2019’s ESTAS Awards has been announced. One 77 have been shortlisted for one of the property industry’s most prestigious annual awards – the ESTAS – in the category of Best Mortgage Advisers. The event, which is generally regarded as the industry Oscars, was as successful as ever this year with over 4,000 companies taking part in the application process, which is judged on customer feedback. 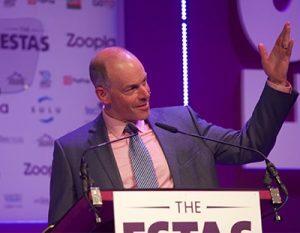 The 2019 ESTAS Estate & Letting Agent Awards is set to take place on Friday 10 May 10 at the Grosvenor House Hotel in London and will be attended by over 1,000 of the country’s top property professionals.